- Our Boulevard should be a community showcase, a demonstration of town pride. -- It's Main Street, USA. - Our Boulevard should be a nice place to stroll along with our families and friends. - Our Boulevard should cause visitors say, "What a nice town"
- Our Boulevard belongs to all of us. It's a quality of life issue. - Let's make Our Boulevard more "user-friendly"
Survey: Are Pedestrians Safe Crossing The Boulevard? In 2004, the Chamber of Commerce began an Adopt a Bench" program. For $300 a bench with a plaque inscribed with a slogan or remembrance can be purchased. In the first half of 2004, the Mayor and Council have stated that they are overhauling old ordinances preventing sit-down restaurants, requiring business owners to get a lawyer to seek approval from the Zoning Board in order to place chairs in front of their stores, and sidewalk dining. On May 15, 2004 volunteers gathered at Franklin Avenue & The Boulevard to begin planting flowers along The Boulevard. Previously, the DPW had prepared the base of many trees in the business district for the boro-organized Boulevard planting. All tools and plants were supplied. The Boulevard has been swept and litter baskets emptied twice a week. This did not work. M/C announced in August 2000 that the new schedule is that the Boulevard will be swept on Mondays, Wedesdays and Fridays. The litter baskets will be emptied on Mondays, Tuesdays, Thursdays and Fridays. [Click here] for the most current status. Regarding Boulevard Improvements, the Mayor referred to the contracting of urban planner Burgis Associates. Their working report was issued in February 2001. A program of placing seasonal banners on telephone and light poles started. The initial costs were covered by local businesses. The DPW is responsible for placement and maintenance. New holiday decorations have been purchased. An outside contractor is responsible for pole placement, electrical connections, taking down, storage and repairs. The realization of these decorations was due in part by lots of individual volunteer efforts working with many groups such as the Chamber of Commerce as well as the Boro. The buy-a-ribbon and feed the hungry program places hundreds of red ribbons on just about every tree and pole along the Boulevard from Thanksgiving until Valentines Day -- The Boulevard looks festive and our community makes a huge contribution to The Center for Food Action. According to the Mayor's Spring 1999 Newsletter, the Police Department is implementing a new parking plan for the business district. This plan is a version of the 15 min. plan that the Chamber & Mayor have been discussing for about a year. Although there is no action visible to the community at this time, we are confident that the Mayor is busy behind the scenes making it happen. The Mayor's Newsletter also announced the "Yield to Pedestrian Signs" were installed at key Boulevard intersections. Well, they fell down every time a bus passed and were removed. A few weeks latter, new and improved replacements were installed and they lasted about a few days before they were removed. Here is a photo of the last sign, down by the Mayor's law office. [Click here] for Boulevard safety issues. About 1998-99, benches and planters were discussed by lots of people and committees. Catalogs were reviewed and the idea of a concrete bench/planter unit held appeal. The selection and placement of the units were to be determined by the DPW. Their suggestion was to place the units at intersection corners, thus avoiding problems of opening car doors and also addressed the concerns of snow removal. Maintenance of the planters was to be handled by the Garden Club. Flowers were to be provided by local florists and landscapers. Funding would be provided by families and businesses who would have a name plate recognizing their donation. The organization would be done by the Beautification Committee. Nothing happened. Decorative lighting was discussed with PSE&G who is to provide recommendations. This action is to be in conjunction with a recently contracted urban planner who is reviewing the Boulevard/business district master plan. We would like to see a regular cop walking the beat. He or she, would know all the businesses and the regular shoppers. Someone who will help enforce parking and other Boulevard regulations, but in a friendly way. Help develop a safe "feeling" along the Boulevard. a. 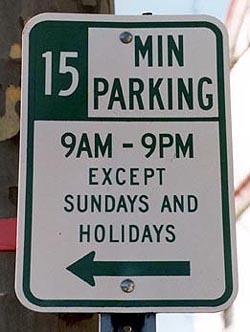 Expanded 15 minute parking zones: Position one spot at the beginning and end of each block from Kipp to Hamilton Avenue. The center sections of each block would remain 2 hours. 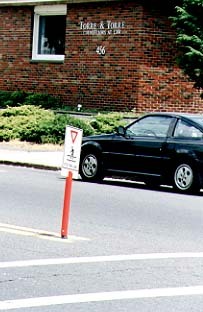 Short term parking was started at the Post Office and selected corners. The HHPD has reviewed the current needs and is proposing a program of implementation to include: new signage, clearer roadway markings, better enforcement, etc. The goal is to facilitate quick drop off and pick up (i.e.. food service, Flash Photo, lottery tickets, etc.). The purpose is better parking management. The public wants easier, more convenient parking. 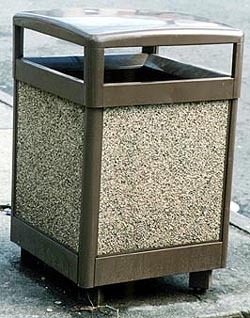 b. Litter baskets: If you feel that a litter basket will improve the cleanliness and quality of the Boulevard, the DPW will put one in at the curb, in front of your location. Call DPW at 288-1072 for availability. c. Planters: Many years ago the Contemporary Club put up hanging baskets. 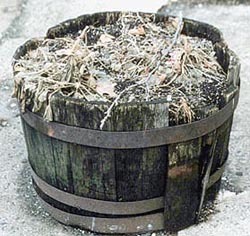 Later, the Woman's Club set-up wooden tub planters. It's time to restore a good idea. Consider putting 2 per block with low maintenance shrubs. Unit costs, styles, funding, locations, etc. are being discussed. d. Park benches along the Boulevard: The HH Lions Club purchased bus benches years ago, and were eventually replaced. It's time to re-evaluate the Boulevard seating opportunities. Consider installing a park bench like Rutherford's at the ends of each block. Funding by clubs, families, businesses, etc. e. Decorative lighting: At the Chamber's request, the town has met with PSE&G regarding decorative lighting and is awaiting their proposal. These initiatives were discussed and endorsed at the January 21and February 17 Chamber meetings. We are mobilizing the business community for additional support. If you have any comments regarding these initiatives, please contact Vince Kane at 288-3800 or attend the next Chamber meeting. It appears that any long term practical parking solutions are a long way off, so here are some short term ideas for consideration. - The first task is to have regular parking enforcement by the Police Department. - Redefine Boulevard Parking criteria upon recommendations of Police, DPW, etc. in Hot Zone between Kipp & Raymond Avenue. These modified parking plans will improve those quick pick up and drop off errands in the Hot Zone. Current idea is to have designated 15 minute zones at the beginning and end of each corner. Spaces in between will remain the same. NOTE: The Mayor, HHPD and Chamber representatives are drawing up some preliminary plans for a "parking test". These plans will be presented to the businesses in the Hot Zone. The goal is to improve parking for residents and local shoppers. That should also help those businesses needing short term customer parking (i.e. pick up fast food, drop of laundry, photo processing, etc.) Parking plans are for improving the Boulevard Only, and do not include side streets. -Use marshals to enforce parking. - Increase the number of Park Benches, planters or combination unit. - Issue -- Be able to open car doors. - Issue -- Who will pay? Municipal Hall says it should be the landlords. Landlords say it's the town's job. The loser is the public. Possible middle ground plan: Sell benches & planters to interested families, businesses and organizations. DPW selects and installs. Maintenance by Garden Club. Flowers & plants donated by florists & landscapers. Organized by Beautification Committee. This is the kind of project that by working together, we can build our community. The Boulevard is worn out, exhausted and needs help. It's time to refurbish some practical ideas to improve our Boulevard. 2. Do not cut down all the trees and replace them.